A love of numbers coupled together with a strong learning ethos means that I am enthusiastic and passionate about customer service, considering every client interaction as an opportunity to take an educational approach. My sound ethical foundation enables me to be focused solely on client outcomes and building a long-term relationships. 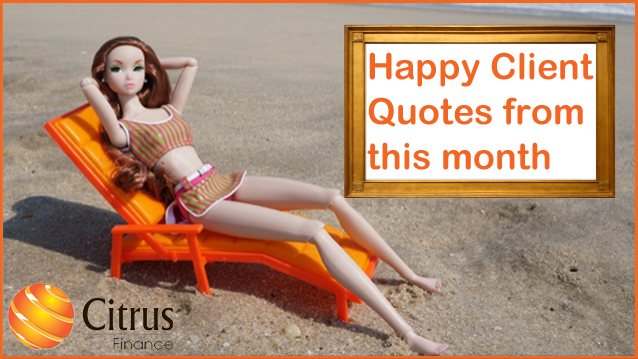 ​I am trusted by my clients to get the most suitable loan for them - being much, much more than 'just a loan writer'. Before I assist my clients into debt, I create a plan of how they will get out of it. I have found a work-life balance that has allowed me to commit to both my roles, as a broker and a mother. I also have a degree in Medical Biochemistry and am a big science fiction fan. ​"Thank you so much for all your help. It's been absolutely amazing having you as our broker." Curious to see what your property is worth? ​Click on the button below for your FREE report. Please send me my free property report! 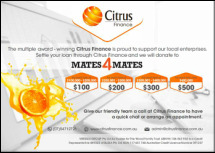 Settle your loan through Citrus Finance and we will donate to our supported charities - for more information simply click on the charity logo below. Helping current and ex Australian Defence Force members (and families) who have physical or psychological wounds, injuries or illnesses from their service.